The weather looks good for the end of September, so get your bike out and join us for a gentle bike ride out for tea and cake, then back to the Rose and Crown for more tea and cake- or beer. Meet at the pub at 10 am, hope to be back between 12-12.30. So I shall do the post today. I’m sure you’ll have fun anyway! Just make sure that you stop for tea! 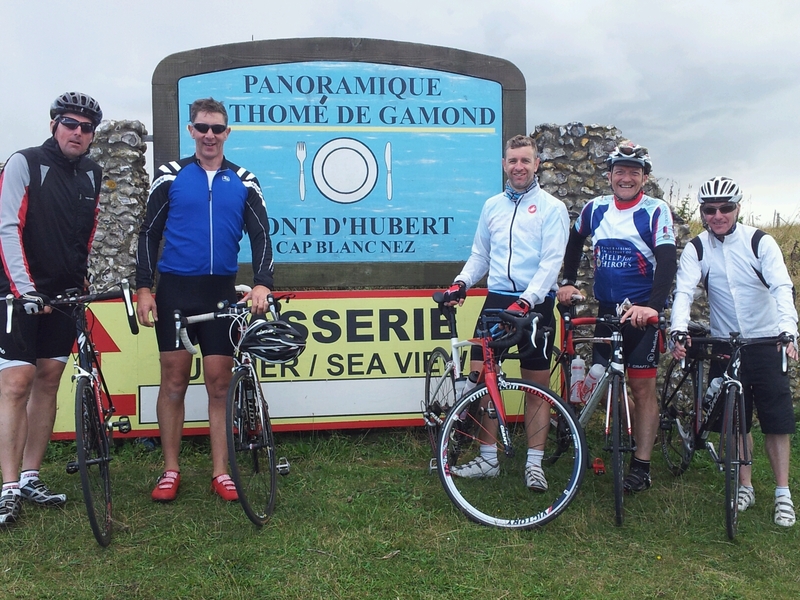 Whilst a few of our group are either broken, on another local ride or enjoying the French countryside this weekend, there are still plenty of us left to enjoy what is forecast to be a dry Sunday morning. Mr Bembridge has once again sent in a route for us to enjoy. We gather at the Rose & Crown from 9:45am with a planned departure of 10am. If you don’t fancy our ride we have news of a great alternative thing to do on your bike. The Cycle Chilterns team are organising a Free Breakfast for the first 300 cyclists who visit the Chilterns Countryside Festival at Ashridge tomorrow morning. Full details can be found on their website. On Saturday the 19th October the MK Dons have a Family Fun Day at StadiumMK for their League One match against Rotherham. They have a great deal on the gate where all under 18s are just £1 (adults £10). More details on our Events Page. Well done to the Tea Ride today who did a whistle stop tour of the local Churches. Many thanks to Angela for leading the ride. A lot of connotations to the title of the post…. “Better late than never” could it be that I have just remembered to put a post out or that Rod Mordey has just joined our mailing list? “Deja Vue” could it be that we have all fallen off trying to ‘clip in’ or that the ride that Dave Bembridge has kindly offered for tomorrow resembles last weeks? So here you go 33 miles of ‘flat’ pleasure leaving the Rose and Crown, as usual at 10am in the morning, thanks Dave! Well as close as we’re going to get anyway! The children are all back at school…. there’s a few rain showers…. and the Tea Ride will be leaving the Rose and Crown, Ivinghoe at 10am on Saturday morning. As well as reminding everyone to keep looking around them whilst they’re cycling, a little advance warning that the Tea Ride next Saturday 14th September will a little different. 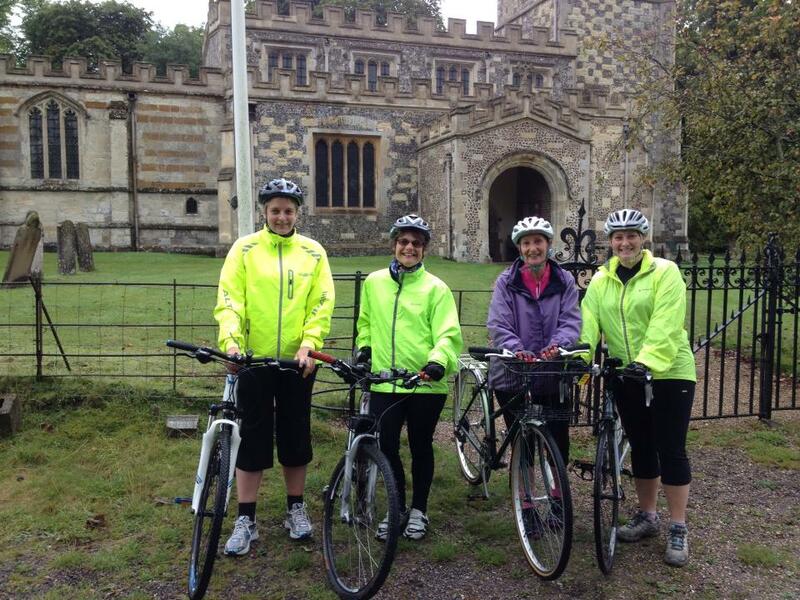 Following it’s success last year, the Tea Ride will be taking part in the Historic Churches Ride & Stride event – walking or cycling to raise funds for Beds & Herts Historic Churches. It might be sponsorship; it might be a personal donation – every little helps! We are using our Just Giving page www.justgiving.com/VinghoeVelos to collect sponsorship money & donations.